John Severin passed away yesterday. He was 90 years old. As a kid growing up in the '70s and completely obsessed with Marvel Comics' superhero books I had absolutely no interest in Severin's work. 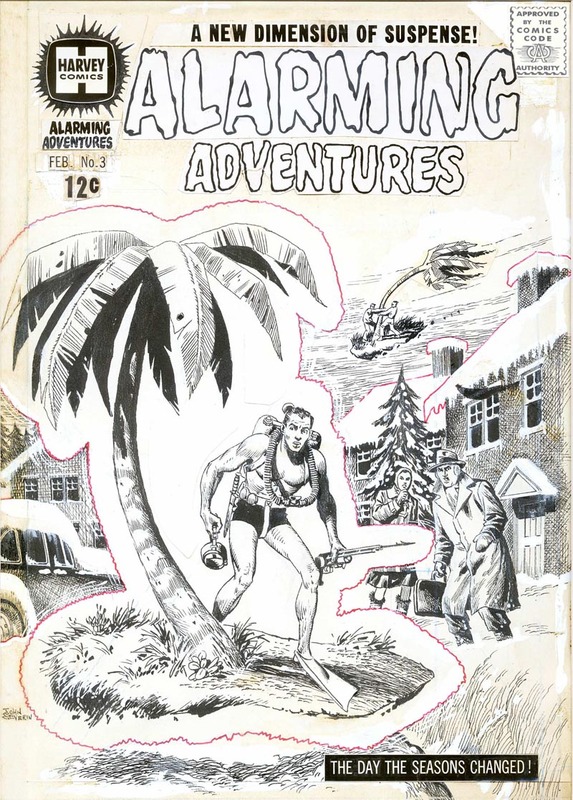 He typically illustrated traditional adventure stories for Marvel's war and western titles. At some point in my childhood I stumbled upon some Mad paperbacks in a used bookstore. They reprinted early 1950s issues of Mad, before it became a black & white magazine. I began reading Mad in Grade 3 and had no idea it had once been a colour comic. It was in these small reprint paperbacks that I first saw Severin's "Melvin of the Apes" - a Tarzan parody - and began to realize just how good he was. His tremendous draftsmanship and natural humour was every bit as appealing as the work of the other giants of the EC Comics era. I had simply needed the right vehicle to come to appreciate that. 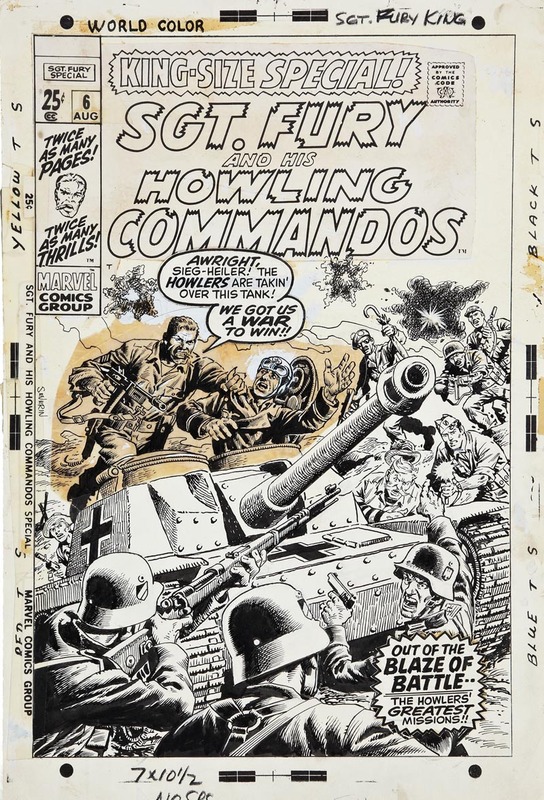 Although I still wouldn't spend my hard earned paper route money on Severin's war comics, I did begin studying his work whenever I encountered it. One close buddy collected Cracked magazine with as much fervor as I collected Mad. During that period (and for many years before and after) John Severin seemed to produce very nearly every bit of artwork in Cracked. 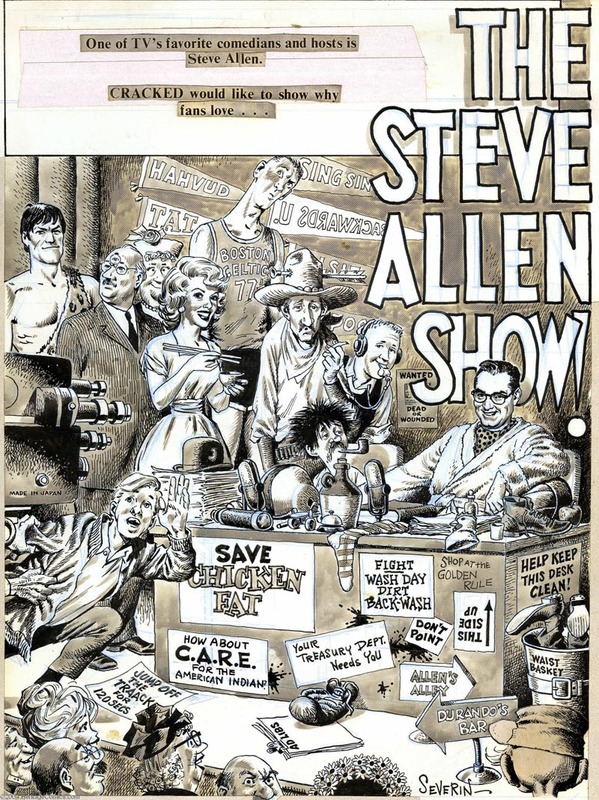 Pouring through my buddy's collection, I began to realize that not only was John Severin prolific and versatile, but that he was also an accomplished caricaturist and painter. Occasionally Severin would venture into Marvel's early '70s "sword and sorcery" books. As a huge Conan the Barbarian fan, this gave me an excuse to actually pay for a Severin-drawn comic. As always, his work was, of course, magnificent. 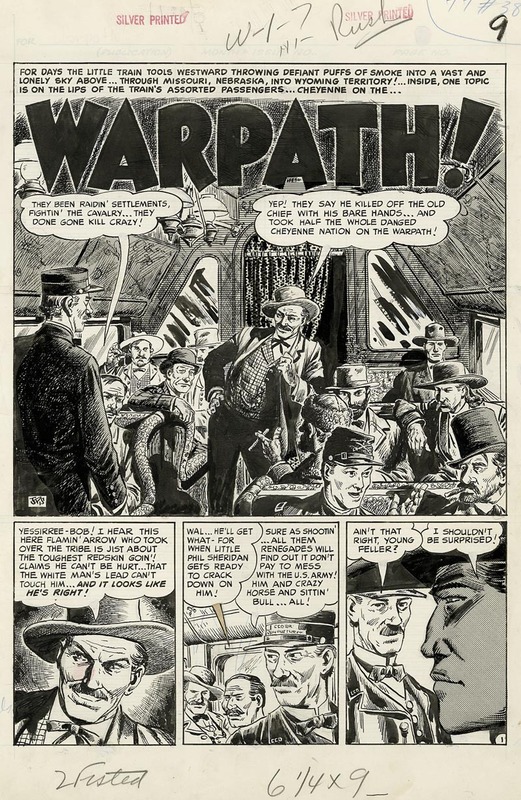 As time passed and I grew older and began studying cartoon art in earnest, with the intention of becoming a comic artist, I finally began seeking out John Severin's work wherever I could find it. Happily, there were now reprint collections available of the entire line of EC comics from the 1950s. As well, tattered "reader's copies" of many older comics could be found at used bookstores and flea markets for a dime a piece. If they contained John Severin's artwork, I snapped them up. Severin was never a flashy artist; he never embraced the "Kirby dynamics" that were so influential in the design of most superhero books of my childhood and teens, but the sheer craft - the rich textural authenticity of his style - always made his work a pleasure to look at. 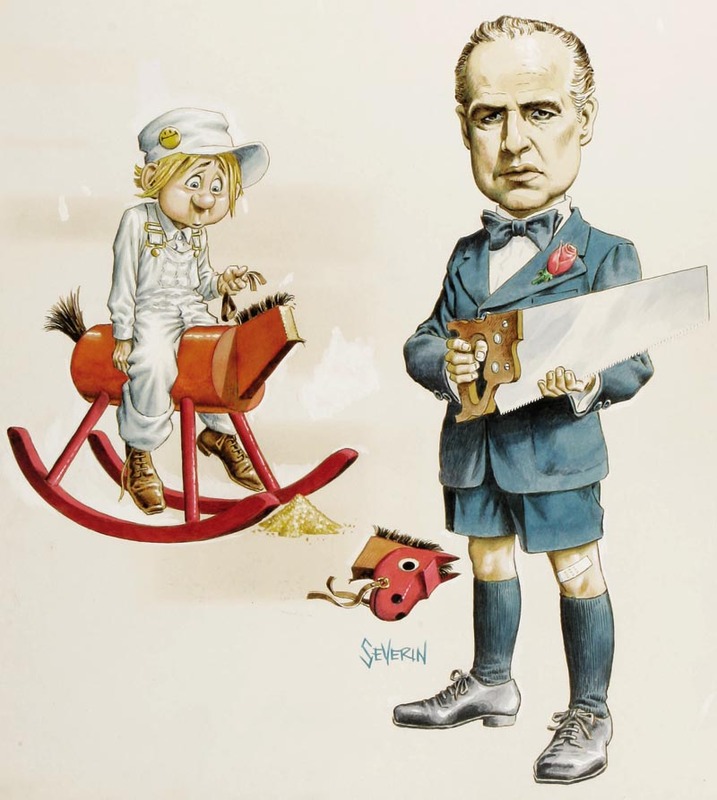 He was among that group of traditional illustrators who approached every assignment, no matter the subject, with professionalism and dedication and no illusions about what it was they were doing - creating commercial art - and yet were always able to tap into their personal wellspring of childhood wonderment and embue the work with a spirit of adventure, drama, or humour that gave it it's authenticity and visual appeal. 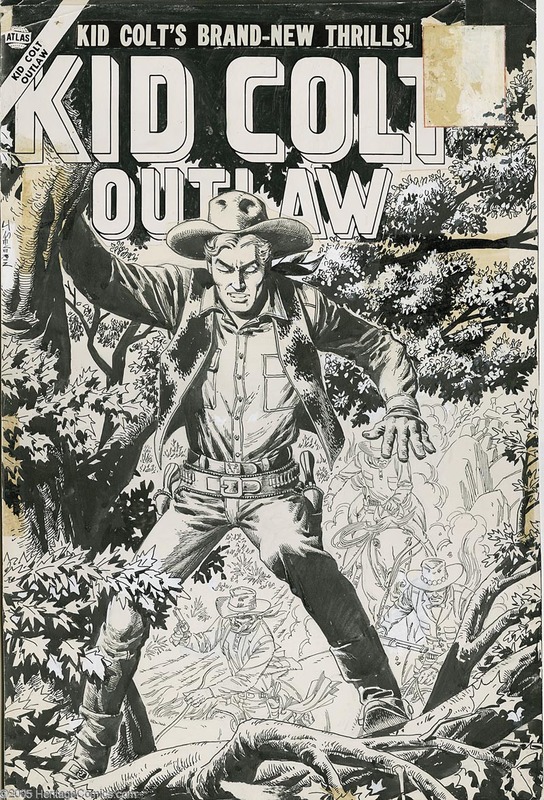 You look at a John Severin drawing and you can just tell he was enjoying himself! * Many thanks to Heritage Auctions for allowing me to use scans from their archives for today's post. What a great post! thanks! Another of the true "greats" gone. Severin was a remarkably prolific and talented artist but often a bit underrated for some reason. Maybe it was the lack of "flash" you mentioned. His draftsmanship was absolutely top notch though. I wish he'd still been working for CRACKED when I started with them (around 2003), but I think he'd just left. My condolences to his sister Marie (another great talent) and the rest of his family, friends and fans. Thanks for sharing these wonderful pasteups of classic pages, Lief! John Severin was amazing, I first saw his art in Cracked magazine in the 80's. His work always made me laugh, his caricatures were recognizable but understated and had a great appeal. One of my all time favorite artists. A true craftsmen Leif..a great tribute, but a sad day. I still cherish the very early Severin from you as it hangs in the studio. 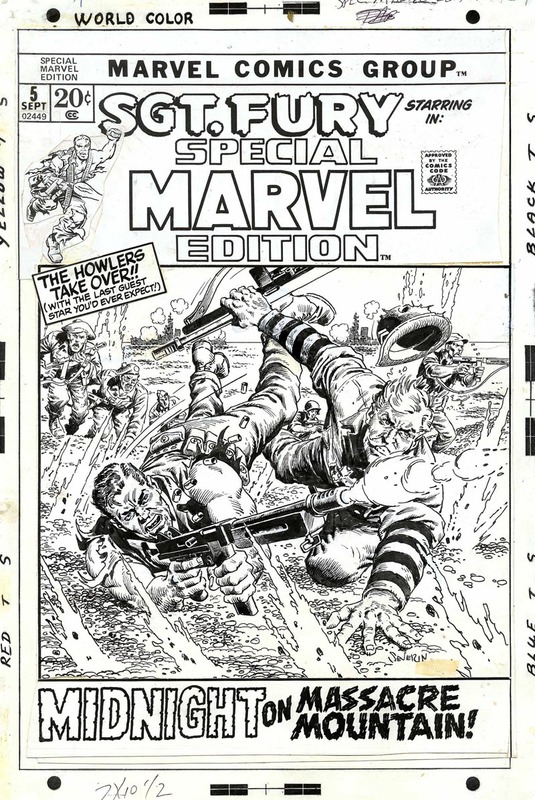 I was a HUGE Severin fan as a kid....being a War comic Junkie. I still cherish my 'Nam series and look at them often....Looking upon his greatness. Was it his sister or wife(Marie) that also was involved in the field...can't remember. Great work my friend and an excellent post. I gotta go dig up my "Losers" rags..
My experience with Severin was almost identical to yours...but I was one of the rabid Cracked readers. I still have some coverless, read-to-death issues from the mid 70's......and, luckily a few originals too. Very saddened to hear the news. I loved this guy's work since a youngster learning the names of his favorite artists in books, papers, and magazines. I was exposed to him before I saw any Roy Crane work. What a surprise that was. Like lightening striking twice and never lit the sky quite the same way again. But Severin was first for me and his hyper-realistic attention to detail splayed out in Crane-ish line and tone (like it's all so easy) will forever keep me fascinated. Thanks for the post bearing the sad news and a chance to appreciate his work. 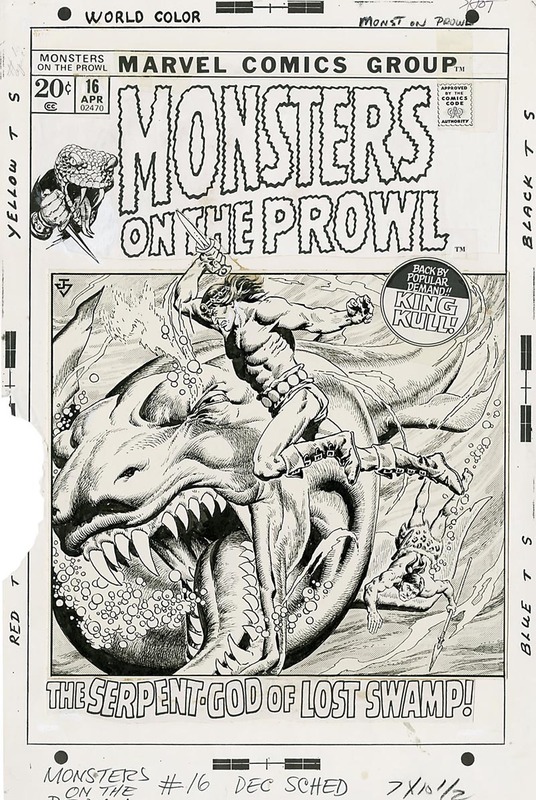 Thanks for the great post,Leif.I fondly remember the Kull comics he did with his sister.Those Cracked covers were a pleasure,and his inks on the Hulk comics were cool also.He qualifies as an illustrator for sure. Sad to hear of his passing. 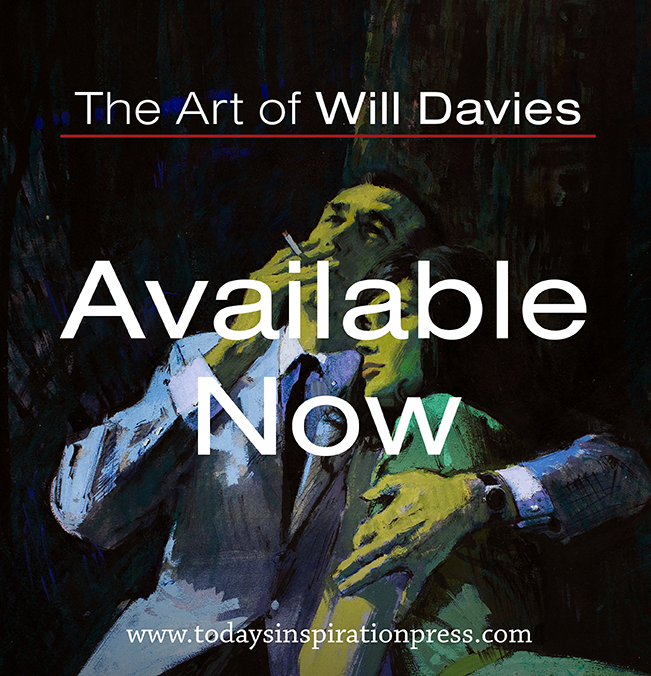 I discovered his work (and Elder's and Wood's) via those Mad paperbacks back in the 60s, when I was in elementary school (I traded an ink eraser to a friend of mine for a few of them). I was a big comics reader (mostly DC), but I'd never seen anything quite like that stuff. I would pour over them, continually finding new details in the art that I'd missed earlier. Thanks for the link to the interview at The Comics Journal. Thoroughly enjoyed it. Truly one of the underrated greats. 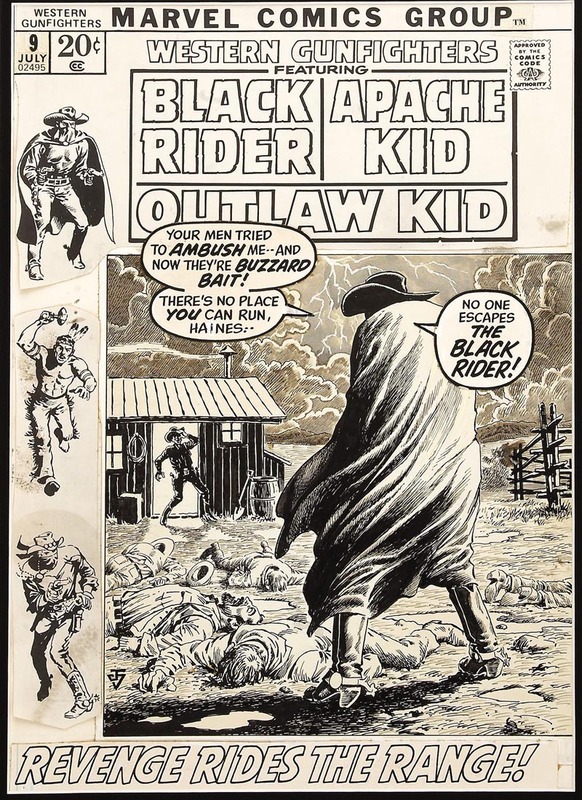 I loved his western and war comics the best. A really sad day. 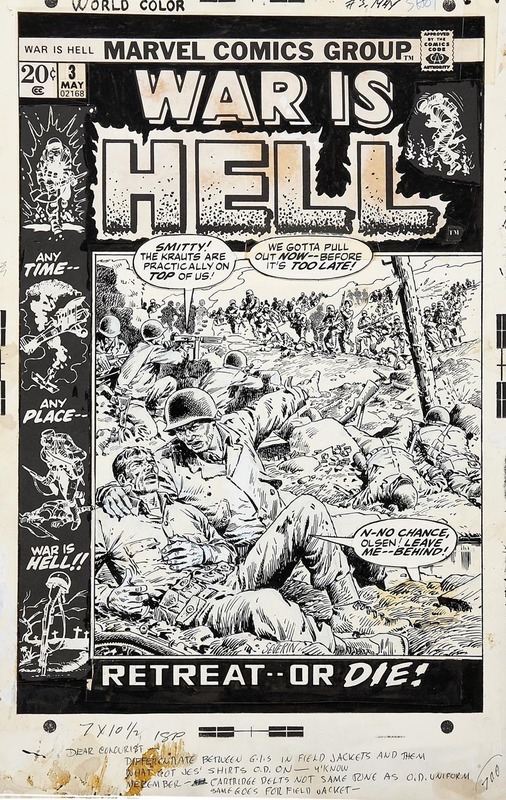 I followed John Severin's work at Mad and the EC comics . . One of the top 5 that ever lived in my scorebook. I first bought those comics ( 10cents for many of them ! ) in 1954-55 while in art school in L.A. They left an impression on me. eToro is the ultimate forex broker for new and pro traders.